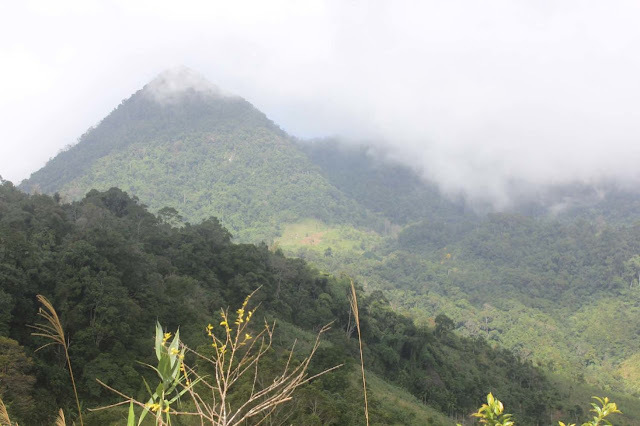 Cà Đam is a 1.431-meter height mountain, which is the highest among other mountains in Quang Ngai . Many ethnic groups sometimes see 7-leaf ginseng while going into the forest. From Quang Ngai city, travelers have to go through 50 kilometers road to Tra Bong mountain province. From there, follow the path connecting Tra Bong and Tay Tra district, pass through Eo Chim slope with more than 1.000-meter height. Then moving on a long route with approximately 20 kilometers to get to the newly opened road to Ca Dam. Ca Dam surprises tourists with trail of magnificient mountains with the peak high-up to the sky. Clouds flow with the wind, uncover, then shroud the green tone of the mountain. The weather in Cà Đam changes throughout the day: Warm in the morning, cool at noon, mildy cold during afternoon and much colder at night. 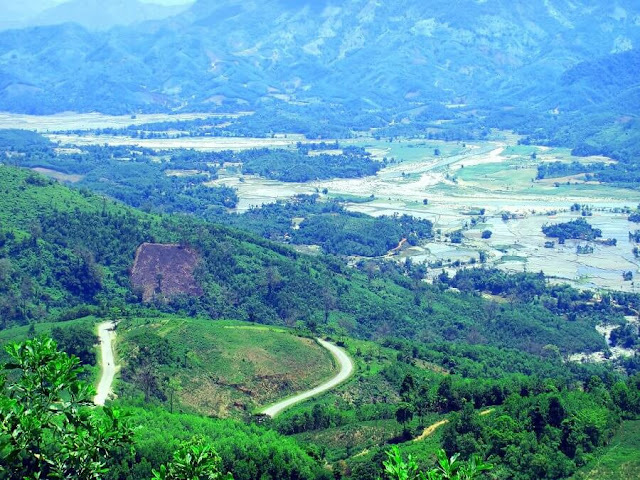 Vi O Lac Mountain Pass is long and high with many twists and turns, compared to other mountain passes in Quảng Ngãi province. 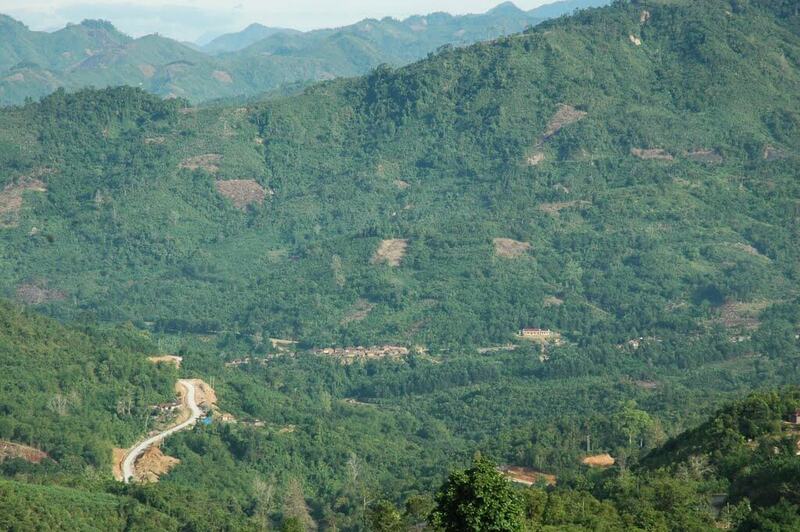 The pass located at National Highway 24, which is one of the main highway connecting Tay Nguyen area with other Nam Trung Bo provinces. In the past, this pass is wild, full of trees with many Sưa trees (known as Dalbergia tonkinensis in scientific name’). From the pass’s peak, tourists can see the entire land below. All directions are full of mountains, creating an undulating terrain. Looking from afar, at the mountain’s foot there are terraces of ethnic minorities. Kon Chu Rang Nature Reserve was established in 2004, and resides at all three provinces of Gia Lai, Binh Dinh và Quang Ngai. With the area of 15.446 acres and forest coverage rate of 98.5%, the natural habitat in the reserve is rated to have various species with nearly 1.000 animal, plant species. Not only that, this is also a rare nature reserve where many IUCN Red Listed plants and animals live. 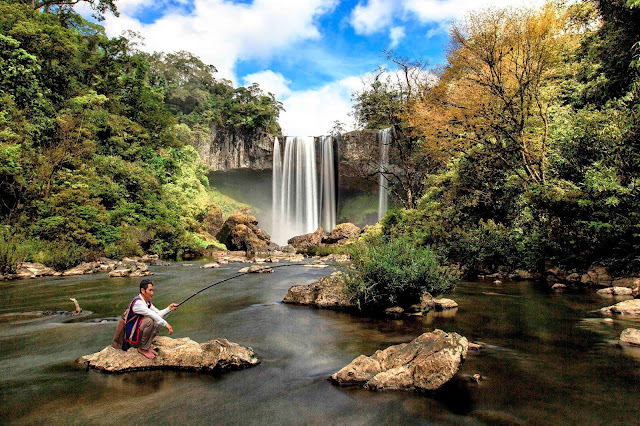 In addition to the biological diversity, Kon Chư Răng Nature Reserve also has many beautiful sceneries with fantastic waterfalls, including 50-meter height K50 fall. Because of those reasons, the majority of Kon Chư Rang Nature Reserve is put into list of strict-protection areas. Route TL625, from Thanh An crossroad to Sơn Kỳ crossroad, is about 25 kilometers. You will go through Long Môn Mountain Pass and Minh Long White Fall. 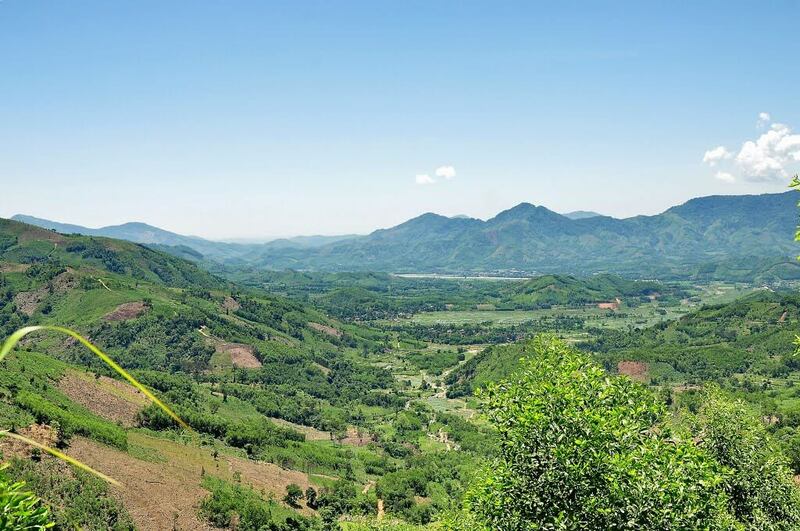 With the splendid sight on par with impressive Tây Bắc (Northwest region), from Long Môn Mountain Pass you can have entire view of charming Thanh An valley. Route TL625, which sticks along with Bo Nung river, is full twists and turns for everyone into discovering. However, as you come near Sơn Kỳ, the route will become more difficult. So besides being good at riding, you will need to prepare a strong motorbike. Truong Son Dong Trail runs through provincial road 630, 623, 626, 622 will surely satisfy backpackers with its continuous slopes. With 134 kilometers in length from Đak Cua, Ngoc Tem (border between Quang Ngai and Kon Tum) to Binh Son station, Truong Son Dong Trail has many astounishing sights. This route is not recommended during rain season due to many dangers like landslide. The best time to discover the trail is just after the rain season. It is the time when various flowers alongside with Trường Sơn Trail bloom. The pleasant fresh-air will provide you the best view of this legendary trail.